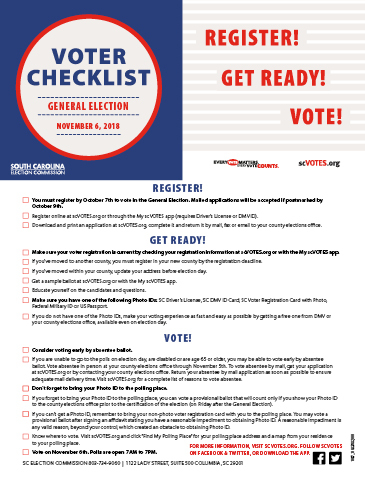 In an effort to help educate South Carolinians on the voter registration and election process, the State Election Commission is providing businesses, organizations, and government agencies with "web buttons" that can help their customers quickly find information about voting. 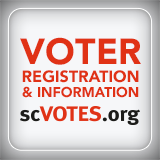 These stylized buttons read "Voter Registration and Information" and are designed to be placed on web pages and hyperlinked to the State Election Commission's website, scVOTES.org. 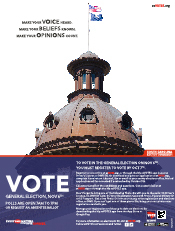 By placing this button on your website, you can remind your customers about the importance of voting and help them easily find the information they need to participate in South Carolina elections. 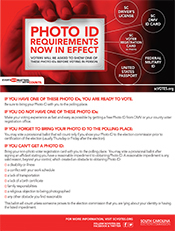 If your organization has a website, please help by providing this important information to your community and feel free to share this web page with other civic-minded organizations as well. Click here to download web buttons. The buttons are provided in eight different sizes to be compatible with most common web design formats. 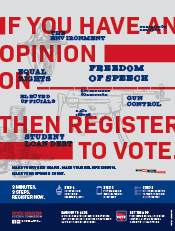 If your webmaster needs to alter the size of any of these images, please feel free to do so. 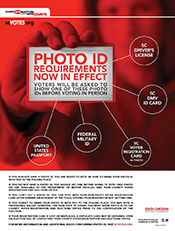 Be sure to hyperlink the image to www.scvotes.org.